Our Display products are contemporary in design, lightweight, durable and most of all keenly priced! We supply easy to assemble portable display systems. From great Pop-up displays to dynamic static and roller banners, outdoor promotional graphics and modular systems. 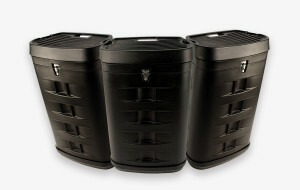 Our stands are contemporary in design, lightweight, durable and most of all affordable. 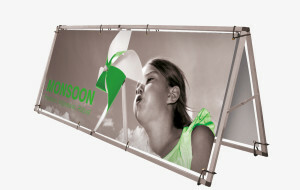 Stylish and easy to erect our Pop-up systems add high impact with flair to any presentation, conference or exhibition. They offer the most striking of portable presentations available and come in a mix of shapes and sizes for indoor and outdoor use. All of our Portable Displays are extremely user friendly and totally reusable and can be erected and in position before the kettle has boiled. 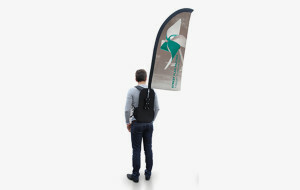 Our Banner range offers the quick and simple display solution, either roller cassette mechanism or static styles are available to choose from. They provide the perfect display companion, presenting style with quality and strength and value for money. Our in-house Graphic Designers can create and produce large format graphics for your display. Whether you require a single banner or a larger display system incorporating many different components, our friendly and professional team will present that extra special design which will get your business noticed. We can also supply many accessories to support your display or exhibition. From Transit Bags and Wheeled Cases to Lighting, Plinths, Literature Racks and even printed Marketing Literature to help promote your company profile. We offer the quick and budget conscious approach for any event. We are here to ensure your display is successful. So the next time you want to show off, contact one of our team first. View more Portable Display products in our online PDF catalogue. If you wish to send us your Print Ready Artwork then please use the following link to Upload your artwork. Say hello face to face, make an enquiry and place your order. Call us today on 01634 844203 for a competitive quotation or to place your order. Complete our simple enquiry form for a competitive quotation. Next Day Delivery option ensuring secure and fast deliveries throughout the UK. Reed Printers are one of Kent’s leading and most long established printing companies. We deliver locally, throughout London and the Home Counties, Nationwide, Europe and beyond. Established since 1972. *Please note: All prices quoted are based upon artwork supplied print ready files. Design & Artwork service available, prices available on request. Prices exclude VAT, to be charged where applicable. Prices quoted exclude delivery.